Earlier this year we celebrated the centenary of the Representation of the People Act, 1918. This extended the franchise in parliamentary elections, to men aged 21 and over, whether or not they owned property, and to women aged 30 and over with land or premises with a rateable value above £5. Although an important milestone it was just the start of giving British women full political enfranchisement. This month marks the anniversary of the Parliament (Qualification of Women) Act 1918 which allowed women to be elected into the House of Commons. There were several organisations established with the aim of votes for women. These included the National Union of Women’s Suffrage Societies; the Women’s Franchise League and the Women’s Social and Political Union. There was also a specific movement within the Anglo-Jewish Community: the Jewish League for Woman Suffrage (JLWS) was founded in 1912 to campaign for, among other things, the vote for British women. They also worked towards religious suffrage such as votes for female synagogue seat holders. Core members of the Jewish League came from the upper-middle-class Franklin extended family who worked alongside male supporters such as author Israel Zangwill. Other organisations, such as the Union of Jewish Women, while not established with this specific aim, became involved in the suffrage campaigns. The Liberal politician, Hebert Samuel, first Viscount Samuel, was key to the passing of this Act. He had not initially been a support of women’s suffrage but on 23 October 1918 he moved a separate motion to allow women to be eligible as Members of Parliament. The vote was passed by 274 to 25, and the government rushed through a bill to make it law in time for the 1918 election. In 1897, Samuel married his first cousin Beatrice. The Special Collections holds correspondence from Henrietta Joseph, wife of George Joseph, mainly to her younger sister Beatrice, 1916-33. Henrietta and Beatrice were daughters of a banker, Ellis Abraham Franklin. The eight bundles of letters reflect Henrietta’s extensive philanthropic and social activities. One of the founding members of the Jewish League for Woman Suffrage was Henrietta (Netta) Franklin. She also served as president of the National Union of Women’s Suffrage Societies. Her sister, Lily Montague, was the founder of the UK Liberal Jewish Movement. Netta and Lily’s father was Samuel Montagu, first Baron Swaythling. Swaythling’s eldest son, and Lily and Netta’s elder brother, was Louis Montagu, later second Baron Swaythling. The Special Collections also hold papers of his wife Gladys Helen Rachel Montagu, Baroness Swaythling and her family. 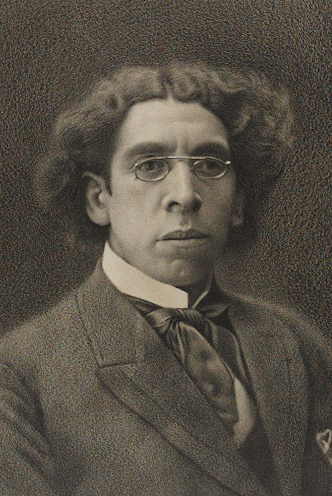 Well-known novelist and Zionist, Israel Zangwill was an ardent suffragist and worked alongside his wife Edith and her family, helping to establish United Suffragists, one of the later campaign organisations. The Special Collections holds several smaller collections relating to Zangwill as well as many of his published books as part of the Parkes Library. Philanthropist and social reformer Constance de Rothschild, (later Lady Battersea) was introduced to the women’s movement in 1881 by suffragist and temperance worker Fanny Morgan. Battersea helped Morgan to undertake a political career that resulted in her election as mayor of Brecon. It was through connections established by Battersea that the Union of Jewish Women was persuaded to become involved in religious and national suffrage campaigns. This image is taken from the papers of Mrs Violet Rothschild Montefiore-Court whose correspondents included Lady Battersea. Despite the achievements of 1918, full equality was not achieved for another ten years. In 1928 the Representation of the People (Equal Franchise) Act was passed giving the vote to all women over the age of 21 on equal terms with men.